ADELAIDE has delisted midfielder Matthew Signorello without playing a game for the club. Signorello, 19, has spent the past two seasons at the Crows after he was taken with the 62nd overall pick in the 2016 NAB AFL Draft. 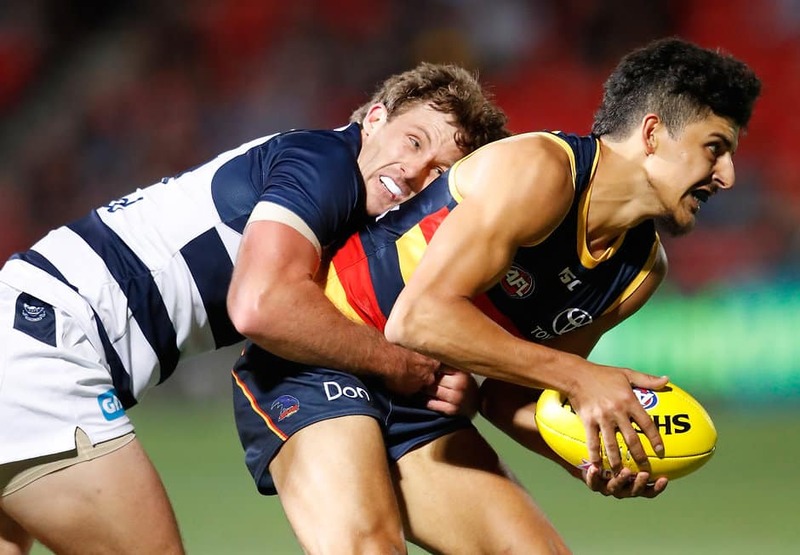 "Making these types of decisions is never easy and it is a difficult time of year when you farewell quality young people," Crows list manager Justin Reid said. "We wish Matt all the best for the future both on and off the footy field." Experienced defender Kyle Cheney and rookie-listed ruckman Paul Hunter remain unsigned for next year. The Crows currently have 34 players on their senior list ahead of next month's NAB AFL Draft. They have selections eight, 13, 16, 21, 73 and 83. The Crows have now confirmed seven list changes – Signorello, Harry Dear, rookies Ben Jarman and Jackson Edwards have been delisted, Mitch McGovern has been traded to Carlton while Sam Gibson and Curtly Hampton have retired. The Crows have also brought in Richmond small forward Tyson Stengle and Sturt forward Shane McAdam as part of the McGovern deal with the Blues.